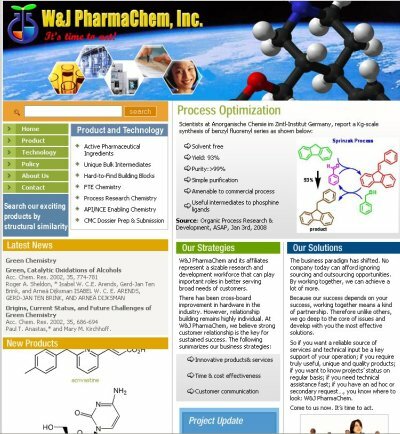 ChemMol.com offers a full range of web design services for chemical companies. From redesigning your existing page via creation of small information-style pages, to huge and complex web portals with active content, ChemMol.com can turn your site into an integrated, powerful and customized chemical product search engine. ChemMol.com provides a dedicated server for web hosting with 99.999% uptime and an exceptional quality of service to the customer. ChemMol.com�s web hosting service offers you speed, flexibility, better performance, security, and more features. Each web hosting and design service is individually priced to specifically meet your company�s needs. Get a free quote for your web site: contact us.